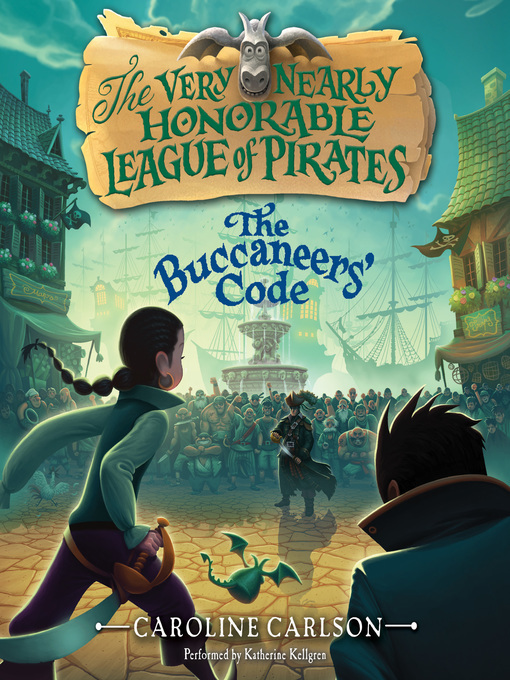 Humor, magic, and adventure abound in the third—and final—book of Caroline Carlson's tween fantasy series, The Very Nearly Honorable League of Pirates. Hilary Westfield is now a freelance pirate. After trying to prove herself to the VNHLP, she realized many members of the league weren't all that honorable—not even very nearly. With Captain Blacktooth in cahoots with the Mutineers, the kingdom of Augusta—and all of its magic—is at risk. What the League needs is a very honorable pirate to be their new president. So Hilary—with the help of her friends, including the always-spirited gargoyle—challenges Blacktooth to a High Seas battle. Winner takes all. Loser, at best, will be exiled. Caroline Carlson has created a world where magic is currency, pirates are more charming than alarming, and a girl can choose a life as a pirate instead of a life in petticoats. And she once again delivers a story of high stakes, high seas, and high society in the hilarious and charming conclusion to the Very Nearly Honorable League of Pirates series.